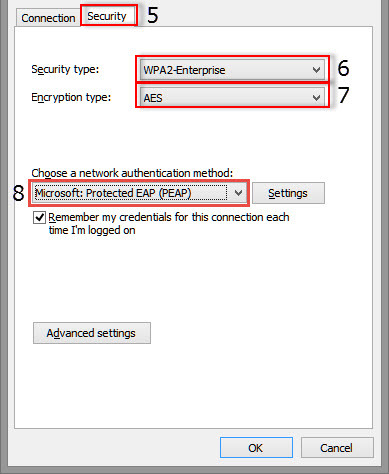 When connecting to the eduroam network, windows automatically select the settings he think are best. 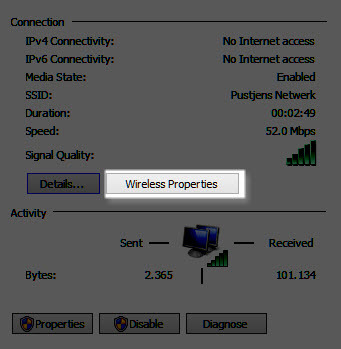 Most of the times, windows is correct and you are able to connect to the network without any problem. However, sometimes windows makes a mistake and you wouldn’t be able to connect. For some unknown reason, windows makes this mistake a lot more for the ‘eduroam’ network then any other wireless network. But what if it still doesn’t work? Don’t worry, there are still some steps we could take to try and fix the problem. This will take some more time, so be prepared and start by reading the step by step tutorial one first time before following the steps carefully. Lets get started! Since the username for eduroam includes the University’s email adress Windows 8 can misinterpret this as the user trying to join a domain. This is a mistake and eduroam does not work on this model. Just put a “\” before your username to avoid this problem. Tick the box labelled ‘Connect to these servers‘ and type your server in the box below. 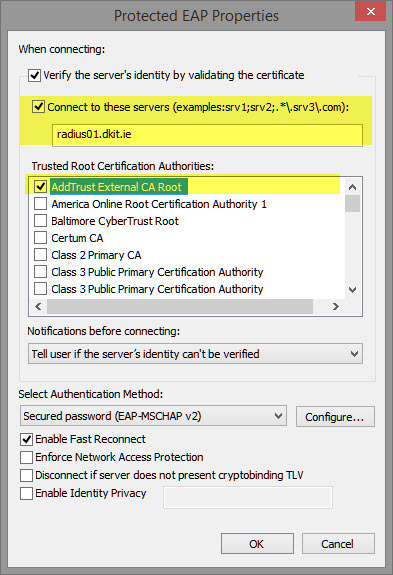 In the ‘Trusted Root Certification Authorities:’ window tick the box labelled “AddTrust External CA Root“. Tick the box labelled ‘Specify authentication mode‘ and select ‘User authentication‘ from the dop down menu. Click on the Wi-Fi button in the bottom right corner of the desktop. 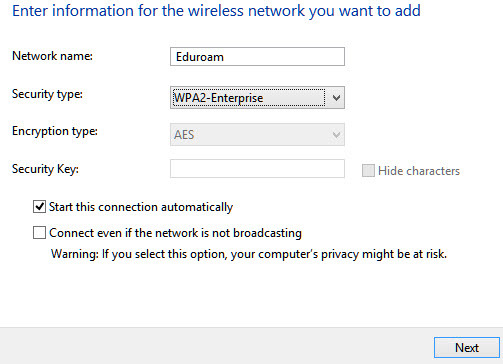 Select ‘eduroam‘ and press ‘Connect‘.